See those things? Right up there? They scared me. Seriously, what are they? Fruit? Vegetable? Starch? Don’t make the mistake of thinking they are tomatoes. They are not. No. Just no. They aren’t just wrapped green tomatoes. I think these are the one item I may avoid 2nd only to yeast in a recipe. 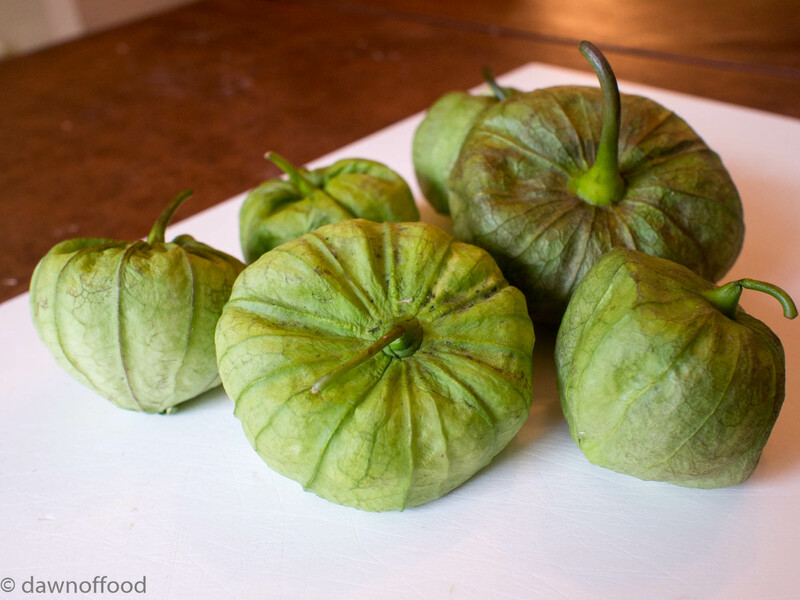 Tomatillos are just so unfamiliar and alien. But then Cinco De Mayo came up and I thought I would conquer my fear of these things and try a simple recipe that called for them. The recipe was a really big hit with everyone but my picky girl. Green sauce? Pass. But those willing to try a sauce with a very different green color were rewarded with a very bold blast of flavor. I made a classic Mexican recipe that I found on the Epicurious Website: Soft Fried Tortillas with Tomatillo Salsa and Chicken. I made some changes, however. Cooked chicken? That’s all? No. We need a nice acidic marinade for chicken going into this dish. So, I came up with one. Soft Fried Tortillas with Tomatillo Salsa and Grilled Marinated Chicken. It may look like a lot of steps, but there’s not much to any of the steps, if that makes sense. For the marinaded chicken: combine all of the ingredients,except the chicken, in a gallon plastic storage bag. Close the bag and shake until combined. 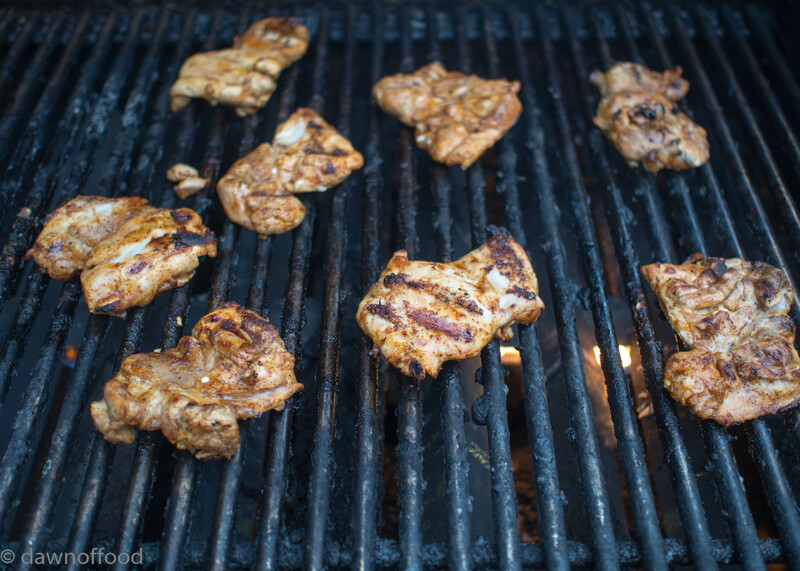 Add the chicken, close the bag, and massage the marinade on the chicken. Marinate for at least 2 hours. Grill over medium high heat, about 4-5 minutes per side or until cooked through to at least 165 degrees Fahrenheit. 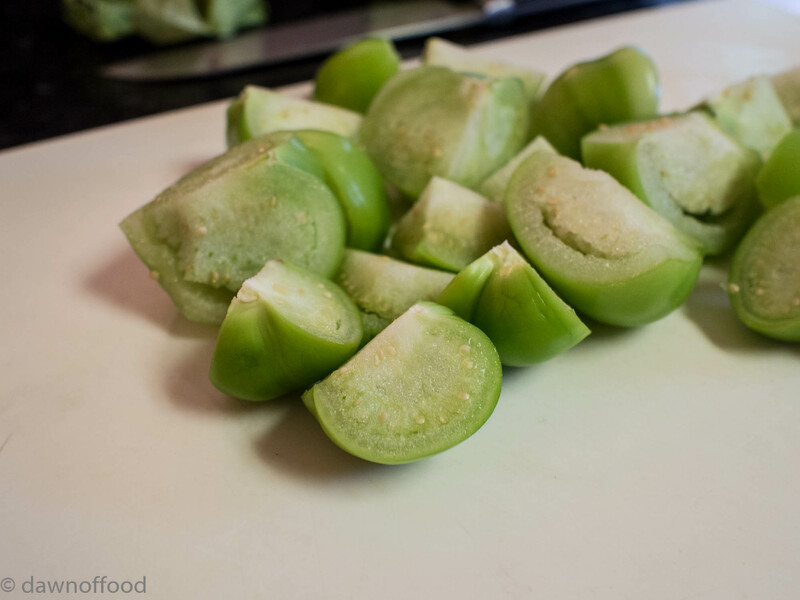 For the tomatillo salsa: Combine the tomatillos, chiles, onions, garlic, salt and water in a blender or food processor. Pulse until relatively smooth. Heat the oil in a medium-large skillet over medium high heat. Add the salsa to the pan, taking care because the liquid will cause the oil to splatter. Bring the salsa to a simmer and cook until thickened, around 8-10 minutes. Stir in cilantro, cook for another minute and remove from heat. Cool, then refrigerate until ready to serve. May be made up to 2 days in advance. 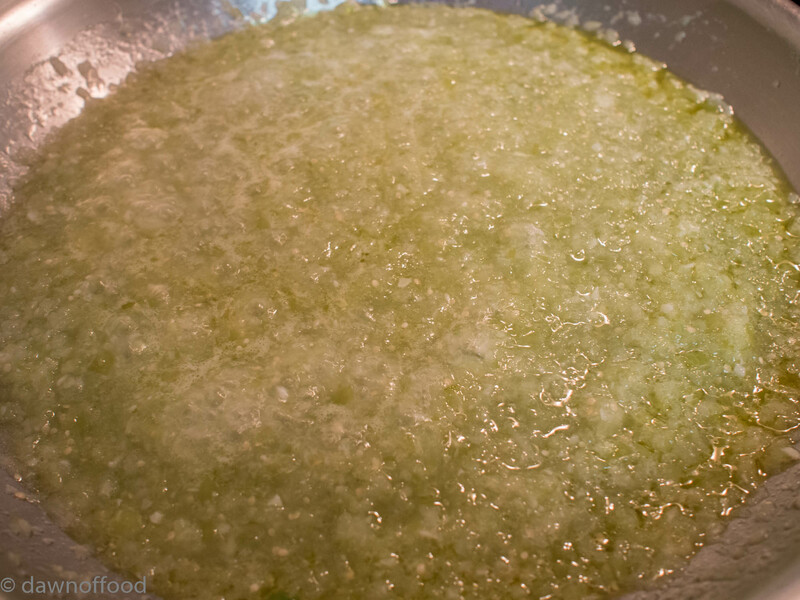 For the Chalupas: Melt the oil over medium high heat in a heavy, large skillet. Place the tortillas in the heated oil (as many as will fit), and lightly fry for about 10 seconds on each side. The intent is to soften the tortillas, not really fry them. Remove the tortilla and drain on a paper towel. If not being used immediately, keep warm on a tray in the oven. 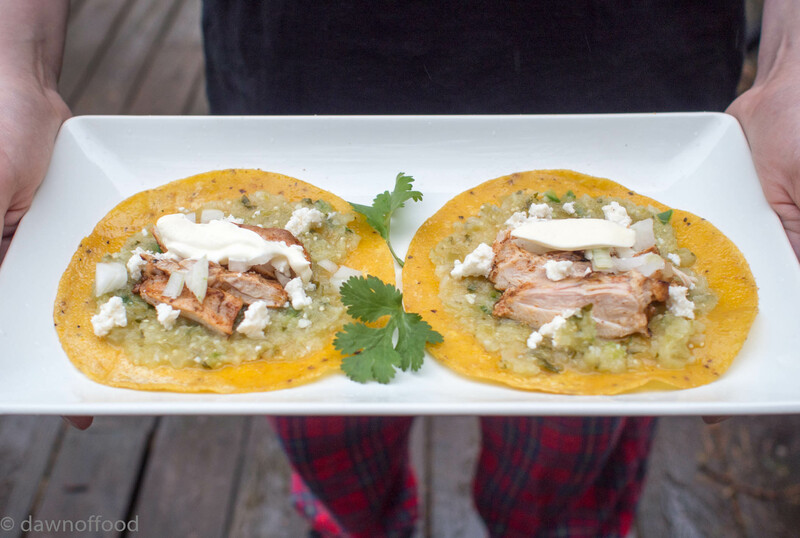 When ready, spread with the salsa and top with the grilled chicken, crema and queso fresco. This entry was posted in Holiday Recipe on May 4, 2014 by dawn of food.